The Petition to Dissolve the Somervell County Hospital District is here!! Update October 21, 2013 we only need 4 more! There has been a lot of talk but here it is, the Petition to dissolve the Somervell County Hospital District (print in landscape format)! You can print it, fill it out, and mail it in! Get your family, neighbors, friends, and co-workers to do the same. I will be collecting all the signatures and once there are enough they will be turned into the Somervell County Hospital District so they can validate the signatures with the County Clerks office and order an election. You have to fill out every box except you can put either your birthdate or your voter ID number, either one will work and both are not required. These do not need to be notarized, just get it filled out and sent back in. If you want to just go somewhere and sign it, you can stop by Glen Rose Auto Parts, the Red Barn, Debbie's, or Gabe's! To make it easy you can tell everyone to go to http://petition.glenrose.net/ and it will automatically take them to this page or to just look for the Somervell County Salon. Everyone needs to get it done, unlike the election where many folks stayed home because they thought it was going to fail. Everyone who does not want this new property tax needs to get involved and sign the petition as well as get out and vote when its time! Tell your neighbors and relatives to get it done or better yet go visit with them and make sure it gets done! Let's not let the 13% that created the district force this tax on 100% of us! If you can't print or text then you can call my home phone at 254-898-0354 and leave a message so we can come to you! You can NOT take the petition into the County Annex and ask for signatures! You can only sign the petition once...not twice or multiple times, we will catch this and resolve if/when it happens. People will lie and say we are trying to close the hospital, we are NOT doing that...we are just turning control back over to the elected County Commissioners while eliminating the new property tax. We, the undersigned registered voters of Somervell County, do hereby petition for the dissolution of the Somervell County Hospital District under the following terms and conditions pursuant to §§286.102-286.106 of the Texas Health and Safety Code. 1. Transfer the land, buildings, improvements, equipment, and other assets that belong to the district to Somervell County pursuant to §286.103(a)(1) of the Texas Health and Safety Code. del código de seguridad y salud de Texas. (2) administer the property, assets, and debts in accordance with Section 286.104. (b) If the district transfers the land, buildings, improvements, equipment, and other assets to a county or other governmental entity, the county or entity assumes all debts and obligations of the district at the time of the transfer, and the district is dissolved. Sec. 286.104. ADMINISTRATION OF PROPERTY, DEBTS, AND ASSETS AFTER DISSOLUTION. (a) If the district does not transfer the land, buildings, improvements, equipment, and other assets to a county or another governmental entity in the district, the board shall continue to control and administer the property, debts, and assets of the district until all funds have been disposed of and all district debts have been paid or settled. (2) if the district imposes a sales and use tax under Subchapter I, continue the tax until the debt is repaid. (c) The board may institute a suit to enforce payment of taxes and to foreclose liens to secure the payment of property taxes due the district. Added by Acts 1991, 72nd Leg., ch. 14, Sec. 121, eff. Sept. 1, 1991. Amended by Acts 2001, 77th Leg., ch. 1290, Sec. 9, eff. Sept. 1, 2001. Sec. 286.105. RETURN OF SURPLUS PROPERTY TAX MONEY. (a) When all outstanding debts and obligations of the district are paid, the board shall order the secretary to return the pro rata share of all unused property tax money to each district taxpayer. (b) A taxpayer may request that the taxpayer's share of surplus property tax money be credited to the taxpayer's county taxes. If a taxpayer requests the credit, the board shall direct the secretary to transmit the funds to the county tax assessor-collector. Added by Acts 1991, 72nd Leg., ch. 14, Sec. 121, eff. Sept. 1, 1991. Amended by Acts 2001, 77th Leg., ch. 1290, Sec. 10, eff. Sept. 1, 2001. Sec. 286.106. REPORT; DISSOLUTION ORDER. (a) After the district has paid all its debts and has disposed of all its assets and funds as prescribed by Sections 286.104 and 286.105, the board shall file a written report with the commissioners court of each county in which the district is located setting forth a summary of the board's actions in dissolving the district. (b) Not later than the 10th day after the date it receives the report and determines that the requirements of this section have been fulfilled, the commissioners court of each county shall enter an order dissolving the district. I think it's reassuring that this option has been written into the statue so that a county, if dissatisfied with their Hospital District's performance, can dissove it. However, I also think that a petition to dissolve a Hospital District right after it was voted in, albeit by only two votes, but before it has had a chance to consolidate, is a disturbing possibility that is fortunately not available to dissatisfied voters in other elections. Afterall, just what does a person's vote really mean if it can be overturned by those who don't agree with the outcome of the election? Humanbeing, I am a law abiding concerned citizen that believes laws are to be followed by EVERYONE. All of our residents of Somervell County should live by AND be protected by our laws. The recent hospital district election leaves more questions than answers. Why was the original petition not in Spanish as the law requires? Why is tax money being spent illegally outside the county? Why is our tax money paying for attorneys that do not represent/protect county residents? Why did the hospital district use a statute that was for counties like Houston? Why did the hospital district avoid using a statute for counties like Somervell with less than 75,000 residents? Why was yard signs used that did not follow the law? Why was inaccurate reports filed on expenses by PAC? Why was reports not filed timely? Was every donor to PAC legal? Every dime paid as tax money should be accounted for. Unanswered questions deserve to be answered and answers scrutinized. Solution is easy. Follow the law! Even the attorneys should quit bending the laws and using loopholes! Citizens are at the breaking point! It's time to unite and be heard! The hospital district is not in the best interest of our county. Our elected officials DO represent us, the hospital district DOES NOT. Those 2 votes you spoke of just cost us millions of dollars! Too expensive for you, me, our generations to come, our friends and our neighbors. I share your concerns, concerned citizen, at least some of them. While I don't believe for a moment that tax money has been spent illegally outside of the county (please prove it to me if I'm incorrect) and I know of no illegality with the PAC or the election, I am, like you, very frustrated with the shennanigans that have taken over our country. A Hospital District will be required to be more accountable and transparent than the previous structure. It's board will have to be elected by the voters. And the citizens do have the right to dissolve it if they chose. Was looking for a particular video this morning that I will post separately and ran across this from before the first hospital district election. Foy Edwards asked Gary Marks if he thought the hospital would stay open if the district election didn't pass and Gary Marks said yes. In fact, this aligns also with what the current commissioners say, that they also would keep the hospital open. And, unlike the scare tactics that were used in the first election, where Boo! the hospital will be closed if you don't vote, the hospital was NOT closed. Same thing with the petition above. The hospital will revert back to the commissioners who have said they will keep it open. HB-Just a couple of comments. Were the newly elected hospital district concerned about voting in people who would represent the district, they wouldn't have chosen the version of hospital creation that allowed them to stack the deck with cronies rather than having, as even the water or school district has, an election to vote in the board. Um. Remember those commingled funds that couldn't be accounted for that then Judge Maynard (and even Charlie Thomas) cried out about. (just ask Walter Maynard about the time he got upset at the hospital authority board meeting because they were supposed to be keeping that reserved money in a separate account.. and weren't) It isn't as if all the people who are running the hospital NOW as the authority board (as an entity) have done a good job. They like "Other" And Quality? As you mentioned, being able to do a petition to dissolve the hospital is legal, and part of our democracy. Some other issues may not be able to resolved in this way, and, don't forget, a petition alone will not do away with the hospital, but another vote. In my point of view, had the election been overwhelmingly for, it would be a moot point. But the very fact that the election was this close ... thank goodness for a possible legal remedy. I still am of the opinion that taxpayers should not be spending one dime for an already formed hospital district in Hood County that does not itself require taxpayers to pay any taxes. If GRMC wants to have a private hospital and spend its own money on the rich gated community, then where are all the people who cry out against welfare that are for private enterprise? Or maybe Somervell taxpayers like to give those Pecan Plantation the warm fuzzies of believing themselves to be the benefactors of those poor poor Somervell folks who are happy to spend their tax money there but would be stopped at the gate if they want to play on one of PP's many golf courses. Our tax money is not going to Hood County Hospital District nor to the residents of Pecan Plantation. Our tax money, some of it, has been invested in a for-profit clinic located in Pecan Plantation because a number of those residents prefer GRMC to LGMC. Anyone from any county can utilize the services offered by that clinic. Everyone who does utilize it, pays for it. Those dollars go to GRMC. Agree. If I was not clear in what I'm saying about Pecan Plantation, it is that our tax money is going to fund a clinic within gated community Pecan Plantation, which is located inside Hood County, and in the taxing district of the Hood County Hospital District. Pecan Plantation residents pay no tax money to the Hood County Hospital District because the district has an arrangement with private hospital CHS. IF GRMC was a private medical hospital itself and wants to spend money outside Somervell County, they could do so and in fact, that's how the money, including fixing up the facilities in PP, occurred... WHEN GRMC was a private 5013c. The question now is, should taxpayer money go to subsidize a clinic, including doctors, etc, in another county that is in its own hospital district-IF PP wanted to be part of Somervell County's hospital district and pay supportive taxes, they could not because they are already in a district. Actually I just hung up the phone with Pecan Plantation to see if what you said was true because I like to check facts and the lady on the phone told me that unless you are affiliated with someone that does live in Pecan Plantation you would NOT be able to get in to use the clinic since it is a gated community!! The hospital DOES spend money in Pecan Planation on the clinic and Somervell County residents are PAYING for it! I still claim this is a violation of Section 282.050 of the Texas Health and Safety Code since it is a clinic and not a hospital! I'm surprised, Paul, that I can't go to that clinic if I wanted to. Their website doesn't state that only residents of PP can use their services. And, call me hard-headed, I still don't agree with your interpretation of Section 282.050. My interpretation of that section of the code is that a resident of a HD may be treated at another hospital outside of the HD and that the HD may negotiate necessary financial transactions with the other hospital relative to that patient's treatment. To respond to your last comment, salon, if the clinic turns out to be a legal operation under a Hospital Authority (surely the answer to this question can't be all that difficult) and it is generating income, why not? HB-As mentioned before, I do not believe that spending taxpayer money from one district in another one is legal, that it may be a moot point per a district should the petition have enough signatures and an election dissolve the district. We simply do not agree on this one. From the Pecan Plantation site. And where exactly is that clinic? You can't get to it unless you can get someone that lives in this gated community to let you in DESPITE THE FACT that your taxes are going to pay for that clinic, doctors, equipment, etc. It is in GRANBURY, in HOOD COUNTY. I also just called there to ask HB's question which is, if you manage to get through the gate because somebody Living in the Big House lets you in, can you then use the clinic? The answer, from the person who answered the phone at Pecan Family Medical Center was "No, not really, we're not supposed to do that", that the clinic is only for people in Pecan Plantation. I asked her if the clinic ever makes exceptions, ie, if someone manages to get through the gate, but doesn't live there, can they use the clinic? The answer is no. If you don't believe it, HB, I suggest you make your own phone call to the Pecan Medical Center and then report back if you get a different answer. Alright already! I stand corrected. However, even though only residents of PP may utilize the clinic, the profit from the fees they pay still goes to GRMC. That's never been under dispute, re:that private, subsidized by Somervell taxpayers, PP clinic that Somervell taxpayers cannot even set foot in to use, brings money to GRMC. However, that should not be the reason to keep spending money in a different hospital district.If GRMC wishes to do this, then they should revert to being a private hospital that does not use taxpayer money; could then operate any clinic anywhere in the way they saw fit, can create a hospital industry to operate clinics anywhere they want. Decided to go down with hub to the 4th of July parade to support him and spend time with him; he set up a table for signing the petition. Wow, the people who signed were SO enthusiastic! 16 - concerned citizen 15 Jul 2013 @ 9:58:27 PM Downtown Glen Rose is almost closed because of TAXES! Let's not drive other businesses out! Domino effect will happen trying to pay new hospital district taxes for ALL of us. 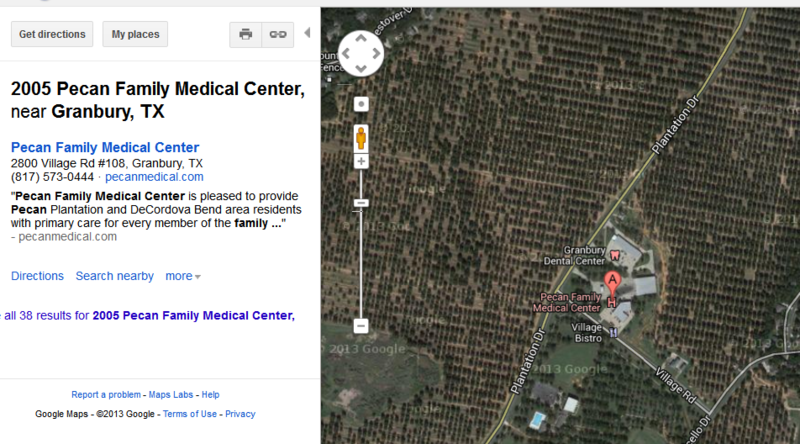 We will all be driving to Granbury, Cleburne....for everything, just so we can say WE own the hospital! How foolish! Please sign petition to dissolve hospital district so we can vote! Downtown property taxes go to the State Comptroller in Austin, not the county. This property tax has nothing whatsoever to do with taxes paid to the county for other services. cc, you are mostly correct. However, because of the Robin Hood clause governing school taxes, quite a bit of a "wealthy" county's school taxes, which usually comprise 80 percent of all property taxes, may be diverted to the State Comptroller who then sends it to another "poor" county. Personally, I believe it is unconstitutional to force a county to send its property taxes to another county, but the Robin Hood clause was instituted in 1993 by the Texas court system because legislators would not resolve the school tax issue and financial burdens during legislative sessions; Perry and lawmakers simply skirted the hot political issue and consistently leave it up to the courts. Public School financing is still being fought in the courts by school districts, individuals and other groups even though Robin Hood has become actual law. I also believe that eventually Robin Hood will be thrown out as a law. It is not working and most schools these days could be considered "poor" and soon will be able to keep all of their own property taxes. In short, Robin Hood is a scam being perpetrated by the State so it does not have to pay its constitutional responsibility to provide financing [taxes paid] for a quality public education for Texas children. hb, local property taxes do pay for local services. You pay your property taxes to the local tax collector. The tax collector distributes funds to schools, cities and other local governments. More than 3,900 local governments in Texas — school districts, cities, counties and various special districts — collect and spend these taxes. As I mentioned in the previous post, 80 percent of local property taxes go to the local school district. If it is considered by law as a "wealthy" district, part of the 80 percent will be sent to the Texas Comptroller's Office, which will send certain amounts to a "poor" school district. Yes and thank you, cc and pstern, for clarifying/correcting my comment above. UPDATE--CORRECTION. I've been corrected. WE don't own the hospital, the hospital owns us!